When I hear music on the radio it is always pretty heavily compressed. What kind of compression are we hearing here? I'm sure Hugh will be along to say what happens at the BBC, but here's a portion of a post from the PitBull Guitars' recording forum where Marcel, who has worked on radio hardware for most of his life, describes the general setup in Australia. "In the early days of broadcasting (back when AM radio was King) it was found that over driving transmitters was a very bad thing which apart from adding unwanted distortion to the voice of the DJ also had the problem of making it very difficult for the listener to tune in their often quite basic radio. Other problems included 'splatter' where one radio station could be heard on multiple places on the old school dial. So to alleviate this it was decided and internationally legislated way back in great grandads day that hard audio limiters in the audio chain would be mandatory and ALC (Automatic Leveling Control) would be an recommended option that each station could implement at their discretion. FM radio and TV didn't escape the madness. They too have their own versions driven by the desire to sound the best/loudest while staying within the national Federal broadcasting regulations. Setting up one of these 'audio processors' is a black art reserved for the station technical engineer under the verbal direction of the station management team. Nobody 'plays' or fiddles with the station audio processor as it does invariably affect how the station sounds to all its listeners. 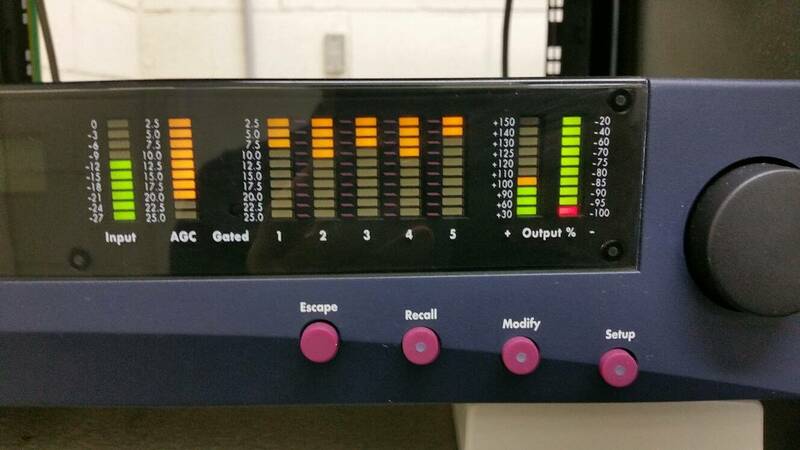 The photos are of the one I had the joy of adjusting just the other day... "
So basically very heavy multi-band compression/limiting followed by another limiter to ensure nothing above a regulated maximum signal level. Humble Bee wrote: When I hear music on the radio it is always pretty heavily compressed. What kind of compression are we hearing here? As Wonk's article intimates, it's usually a form of multiband compression coupled with look-ahead brick wall limiting. There are several different competing manufacturer's of broadcast processors, but Optimod and Innovonics are probably the best known devices. The number of compression bands employed varies between the different radio broadcasters depending on the kind of 'sound signature' they want to have. Commercial pop music stations tend to have far more elaborate multi-band setups than national classical music radio stations, for example. Some stations also change the compression characteristics they use at different times of day to try and optimise the sound for people driving in their car during at rush hours, say, or listening to a classical concert in the evening. You're never going to match the sound exactly because each station is different and uses different equipment, but a three or four-band multi-band compressor will be needed, followed by some fiddling to get something sounding similar. Of course, this kind of broadcast processing is all about peak-normalisation and was both the predecessor (and arguable successor) of the CD loudness wars... but there are international plans to move radio broadcasting away from peak-normalisation and into the loudness-normalised world, where broadcast TV, internet TV and music streaming services are already settling. It's already happened for some DAB stations in some Scandiavian countries, but it's a difficult transition to make so it will take another decade or so I reckon before it's universal. There are a number of presets included for various types of FM processing. So hypothetically some mixes suffer on radio and some might sound improved depending on the station of playback? It depends what you mean by "improved"..! If music crushed to within an inch of it's life sounds "better" to you, then great! Certainly, intelligibility can be improved in noisy environments like a car, as the dynamic range is significantly reduced. I still have some nostalgic fondness to how the radio sounded back from when I listened to it a lot, but I also remember the first time I had something of mine played on the radio, and was rather depressed as to how it sounded! Quite! I recall enjoying Marc Almond's 'A Lover Spurned' in the car listening to BBC Radio 2 back when I was doing a lot of motorway driving, so I bought the CD Single, only to discover that the CD mix and spectral balance sounded substantially different thanks to the absence of multi-band compression! For an electronic part of a concert work I recorded the traffic news from a West Midlands local radio station, to mix in with spoken voice, station announcements and ambient recordings. Because I am outside the area I recorded the live streaming on the internet. The limiting is beyond extreme, it sounded like Acid Mothers Temple on untested narcotics. It sounds as if they recorded the announcer, speeded it up, and then pushed the sound until it clipped - it is unpleasant to listen to. * Presenters asking why the station was quieter than other Internet stations they listened to. * A huge dynamic range between voice and music. Thus on the programmes I was responsible for (prerecorded) I used this: http://www.vst4free.com/free_vst.php?id=548 as a matter of course - usually on its 'normal' setting. Dealt with both issues quite nicely - and it's free! Gotta love this forum. I had no idea. Thanks! Wonks for the brilliant explanation! From the music creators perspective once the final mix leaves the studio and or mastering facility it’s all downhill from there. So a very small group of people actually get to hear the mix in its intended glory. That must be depressing for some. Maybe, but there's some compensation when the royalties come pouring in. Well, back in the times when they used to. So Mr. Wonks - knowing radio compression as intimately as you do, do you compensate in some manor with your mixes? Me? That was a quote from someone else on another forum! I did try to make it clear that it wasn't me. Now if you want to know all about pressure independent control valves, I'm your man! ManFromGlass wrote: So Mr. Wonks - knowing radio compression as intimately as you do, do you compensate in some manor with your mixes? If I may speak from personal experience... absolutely not! When I started location recording for the BBC I used to get it what I felt was 'broadcast ready'. But then when I heard the programme broadcast it sounded dreadful. I'd taken no account of what was a reasonably heavy duty broadcast-processor in the transmission train. I quickly learnt to go very easy on processing the recording before submitting it for TX. Some gentle EQ if needed, some HPF and the lightest of compression - if any at all. 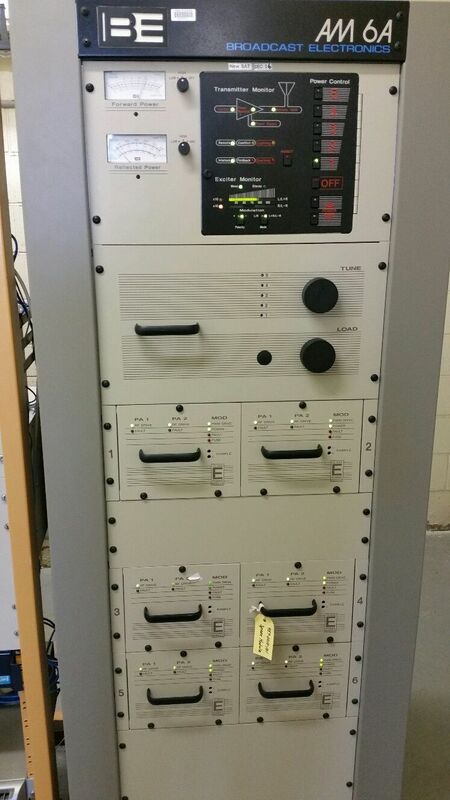 I also discovered that the optimum level for that particular station was -3dB. Anything hotter got the broadcast processor too excited. As for crafting mixes... you could in theory and I guess I was because all my output destined for broadcast was going to one station. 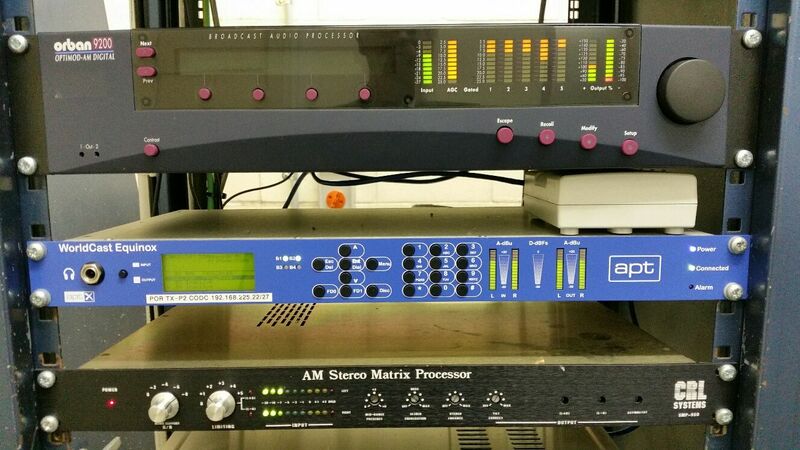 But radio stations all have their own settings for their hardware or software processors and probably different settings for FM and DAB within the same station. Trying to second-guess what might happen to your sound at a multiplicity of radio stations is impossible. I know it was common in the USA in the 70s (and maybe later) for bands to produce different radio mixes for the singles supplied to AM and FM stations, with EQs and balances changed so that they still sounded good on transistor radios with small speakers and car stereos in noisy environments, and which probably also took into account broadcast compression. I don't know if the same happened here with a much smaller number of radio stations. Wonks wrote: I don't know if the same happened here with a much smaller number of radio stations. I think the radio mixes over here were mainly to remove any naughty words. I've just been transferring a huge number of master tapes and production masters to digital. There were only one or two radio mixes in there and they were mainly shortened versions rather than different sounding. Yup! IME 'Radio Mixes' were all-age-friendly and shorter in length to help keep programme pace up. Remove naughty words in a song? I have an image of there being popular songs that suddenly have a bar of 3/4 where once was all was 4/4.